Throughout history, diamonds have captivated mankind with their alluring beauty and supernatural beliefs. Since their discovery around 2500BC, these precious gems have been at the heart of many myths and legends by cultures across the world, and been associated with virtues such as strength, wealth, power and love. Why were diamonds considered so precious to mankind even before knowing how to cut them into the sparkling treasures we know and love today? The form of a rough diamond (an octahedron) was considered an ideal configuration consisting of 6 sharp points, 8 flat planes and 12 straight, sharp ridges. From the earliest of times, the diamond was considered a magical intermediary between man and the unseen forces of nature that governed his fate. The Hindus, who were known to use diamonds in the eyes of their statues, believed that diamonds were created when bolts of lightning struck rocks. Diamonds were also believed to attract lightning bolts. The Indian deity Krishna gave his love Radha a great diamond – believed by some to be the Koh-i-Noor to reflect her beauty as it shone in the moonlight. “He who wears a diamond will see danger turn away” was a saying used in ancient India. The diamond’s purity, brilliance and ability to refract light gave way to the belief that diamonds were a symbol of clarity and invincibility. The ancient Romans and Greeks had powerful beliefs about diamonds, including the thought that diamonds were the tears of the gods or splinters that had broken off of falling stars. Roman literature also stated that Cupid’s arrows were tipped with diamonds. Classical Greek philosopher Plato wrote about the idea of diamonds as living beings that embodied celestial spirits. In the 8th Century BC, the diamond became synonymous with the term adamas – the Greek term meaning unconquerable and invincible. The legend goes that Chronos had changed a young man called Adamas into a precious stone. He possessed unbelievable strength and good fortune, was seen as an antidote for poisons and reinforced the love between married couples. In ancient times, Kings led wars on the battlefield wearing heavy leather breastplates studded with diamonds. It was believed that diamonds possessed magical qualities and superpowers far beyond the understanding of humans. In the Middle Ages (between the 5th and 15th century), diamonds were thought to have exceptional healing abilities and considered to be a “miracle stone”. They were believed to have the ability to cure stomachaches, memory loss, depression, fatigue, infections, mental illnesses, nightmares, skin diseases and other head and heart ailments. 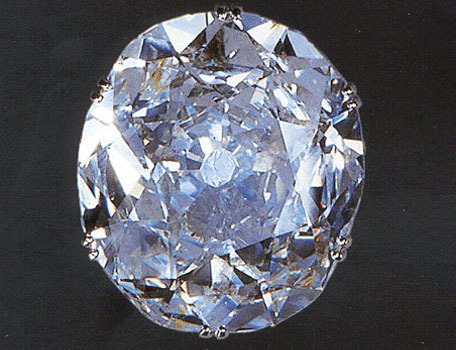 It was believed that a diamond could cure simply by being placed on a part of the body. It wasn’t until the Renaissance when Pope Clement VII swallowed a medicine based on powdered diamond and died, it was understood that eating powered diamond killed more people than it cured. Jewish high priests used diamonds to determine the innocence or guilt of someone accused of a crime. The more truthful someone was, the more the diamond placed before them would sparkle. When a person was a guilty, the diamond would dull and darken. 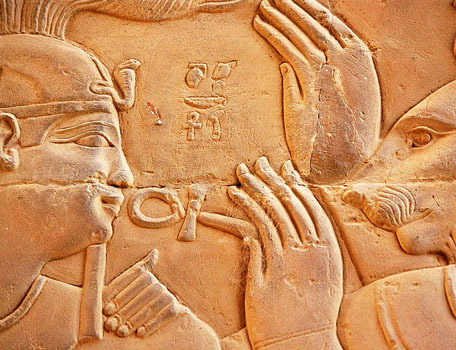 Wearing an engagement ring on the third finger of the left hand dates back to the ancient Agyptians, who believed that the ‘vein of love’ linked the heart and the ring finger. A diamond touching each corner of a house or garden offered protection from lightning and storms. It is said that Alexander the Great discovered the Valley of Diamonds on one of his campaigns in India. The valley was guarded by countless snakes, so Alexander devised a plan to get through them by using mirrors to fright the snakes away with their own reflection. It is believed by many that the famous Hope diamond caused the Titanic to sink as a result of its presence aboard the ship.